Acid load can lead to acidosis (low internal pH) which causes a number of health problems. This problem of over acidification is caused by a number of factors including exercise transportation stall confinement and high grain diets. Grain breakdown begins in the stomach producing ‘volatile fatty acids which lower pH and then moves to the handgun where it produces lactic acid further reducing pH. When the pH of the gut drops below 6 the good bacteria critical for digestion are killed and pathogenic material growth is promoted. 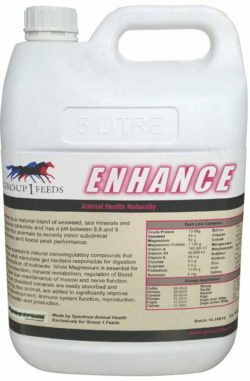 Benefits include: stress management, immune system function, improved nutrient absorption, disease and parasite resistance, reduced worm burden, improved fertility rate, reduction in skeletal defects and cracking, added vitamins A, D and E. Alkaline product pH 8-9.